Sliding into a Synchilla® Snap-T® has the same relaxing power as a hot shower after a week on the trail. 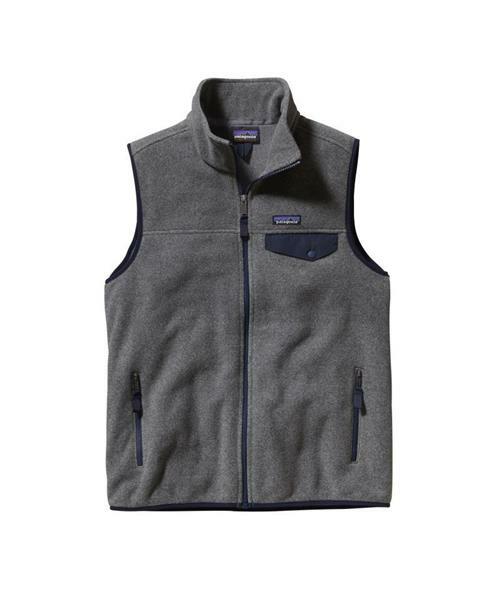 Made from recycled, double-faced 8 oz 100% polyester fleece, this full-zip vest continues the tradition of providing durable, soft warmth with moisture-wicking and quick-drying capabilities in a layer-friendly, spring-weight construction. Features include full-zip front and stand-up collar. Left chest pocket has Supplex® nylon flap with snap closure. Spandex binding at the armholes and hem feel smooth under pack straps and a hipbelt.